Told by the activists and leaders who live and breathe this movement for justice, Whose Streets? 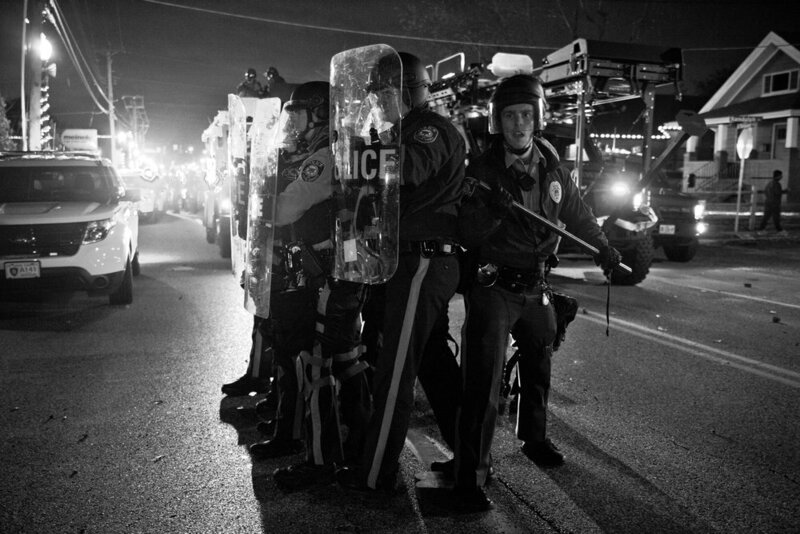 is an unflinching look at the Ferguson uprising. When unarmed teenager Michael Brown is killed by police and left lying in the street for hours, it marks a breaking point for the residents of St. Louis, Missouri. Grief, long-standing racial tensions and renewed anger bring residents together to hold vigil and protest this latest tragedy. Empowered parents, artists, and teachers from around the country come together as freedom fighters. As the national guard descends on Ferguson with military grade weaponry, these young community members become the torchbearers of a new resistance. Filmmakers Sabaah Folayan and Damon Davis know this story because they have lived the story. Whose Streets? is a powerful battle cry from a generation fighting, not for their civil rights, but for the right to live. Activist Alexis Templeton in WHOSE STREETS?, a Magnolia Pictures release. Photo courtesy of Magnolia Pictures.